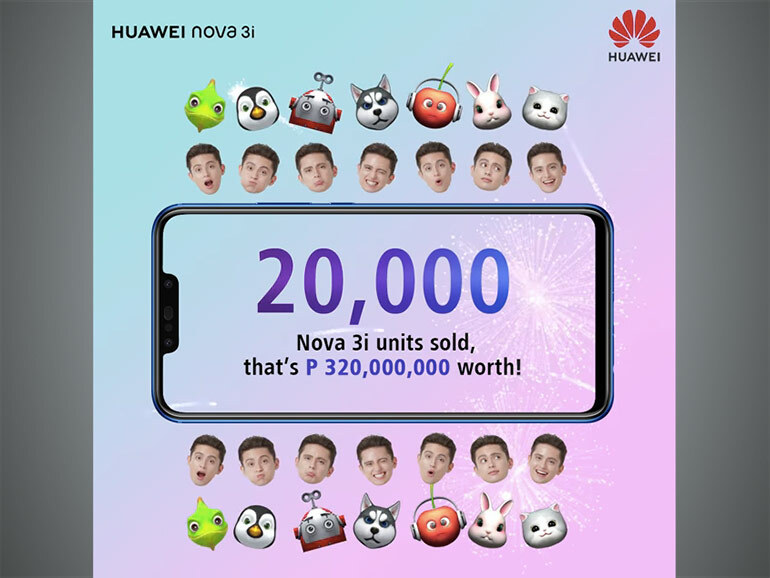 The Huawei Nova 3i sold over 20,000 units on launch day. The handset features quad cameras, Kirin 710 processor. Congratulations to Huawei Philippines. As expected, the Huawei Nova 3i is a huge success. The long lines on launch day translated to over 20,000 units sold, which is worth over PHP320,000,000, according to their post. Someone over there definitely deserves a bonus! For those who missed it, the Huawei Nova 3i features a 6.3-inch full HD+ display, a HiSilicon 710 processor, 4GB RAM, and 128GB of expandable storage. It comes with four cameras — 16MP + 2MP module at the back, and the 24MP + 2MP in front. The cameras are assisted by Huawei’s artificial intelligence technology with scene recognition. The Huawei Nova 3i is priced at PHP15,990. It is up for pre-order with both Smart and Globe. Pre-orders will come with a free Bluetooth speaker. Xiaomi and Huawei for the win, losers Oppo and Vivo lol.